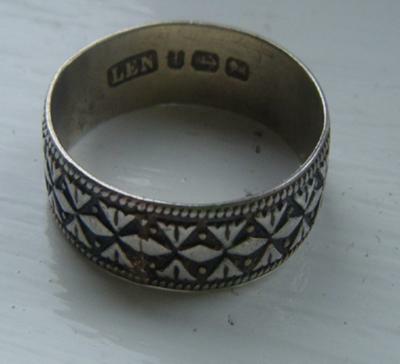 I bought a ring from a charity shop , and have no idea what the hallmarks are. There are the initials "LEN" and then a "U"
there is also an anchor, which i believe means the ring is from birmingham, and then there is a lion. Could you identify where this ring is from, and what the initials means?